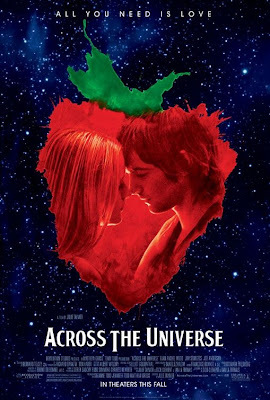 When does Across the Universe come out in the theaters? I remember seeing the trailer for it a while back but nothing else. Some info about the soundtrack came out. The track listing has much of the cast doing the singing. (mind you, Joe Cocker and Bono are part of the cast.) And a couple of tracks by The Secret Machines. I have high expectations for the film. I hope I am not let down.